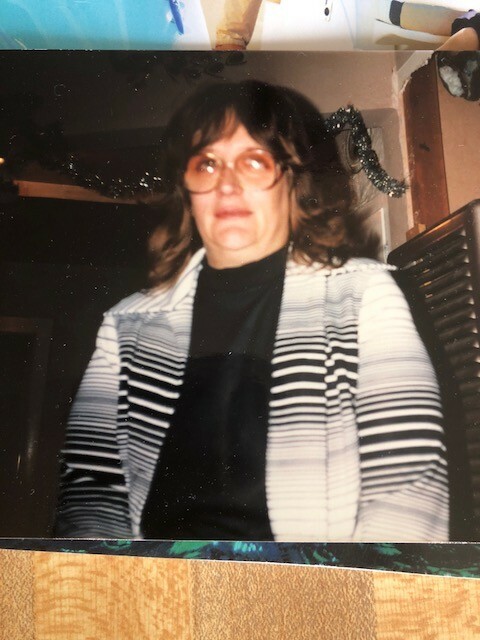 Regina M. Greene, 72 formerly of Chetek peacefully passed away Sunday, April 22, 2018 at Atrium Post Acute Care Center. She was born August 11, 1945 in Springfield, Illinois the daughter of Patricia (Tonila) and Edward Greene. Regina graduated from Chetek High School and attended the U.W. River Falls. She was an amazing cook with a passion. She loved to fish, arts and crafts, socialize and had a terrific sense of humor. She worked at the family owned tavern, Black Bass Bar. She later moved to Rice Lake, then to Hayward for the last ten years where she loved it there and called it home. Regina is survived by her children; Todd (Dianne) of Chetek, Sandy (Tony) Peterson of Fall Creek, Brent Morley of North Dakota, 6 grandchildren; Amber Greene, Travis (Jenny) Hensel, Brandi (Josh) Stanford, Alicia Peterson, Destiny Morley, Trey Morley,12 great grandchildren;Brady & Ellie Nelson, Emma, Ethan, Elyssa, Shelby & Kaleb, Logan, Chloe, Mia, Gracie, Isaiah, her best friend Dawn Love of Hayward and many other close friends. She is preceded in death by her parents, sister, Mary Jane and Mildred and Edward Wasko. Please join the family for a celebration of life from 2:00-4:00 P.M. Thursday, April 26, at Phills Bar and Grill (formerly Black Bass Bar). Inurnment will take place at Lake View Cemetery privately.